The word “tradition” often brought out the meaning of old and outdated. But sometimes, the most beautiful things are preserved the longest as if it’s original. There are many ways to keep the tradition in the world that we are living in right now. 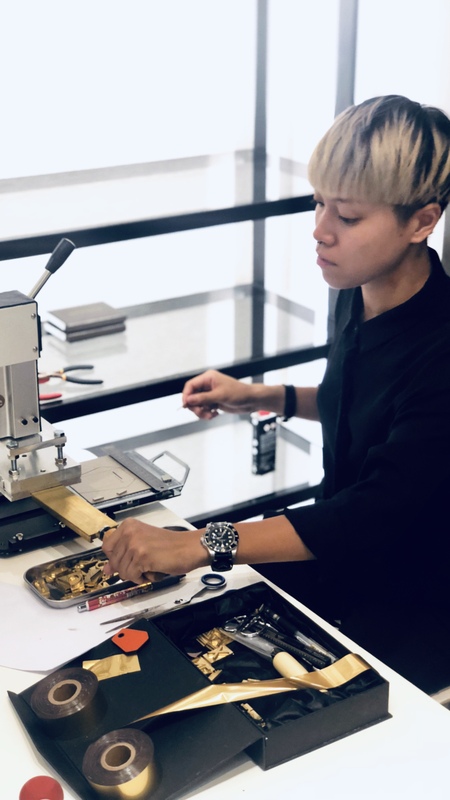 Myatodesign has been preserving the heritage of traditional craft and empowering the new generations of crafters by producing handmade items from start to finish with leather. And EasyStore has the privilege to interview the founder of Myatodesign, Mya. With the charismatic and courgeable intent to start her own business at a young age, let’s take a look at the story behind the little success she had built so far. 1. Introduce a little about yourself and Myatodesign. My name is Mya, founder of Myatodesign. The company was established since 2012, with my first stall at Scape, Orchard. Started this small business proudly called mine when I was 22. 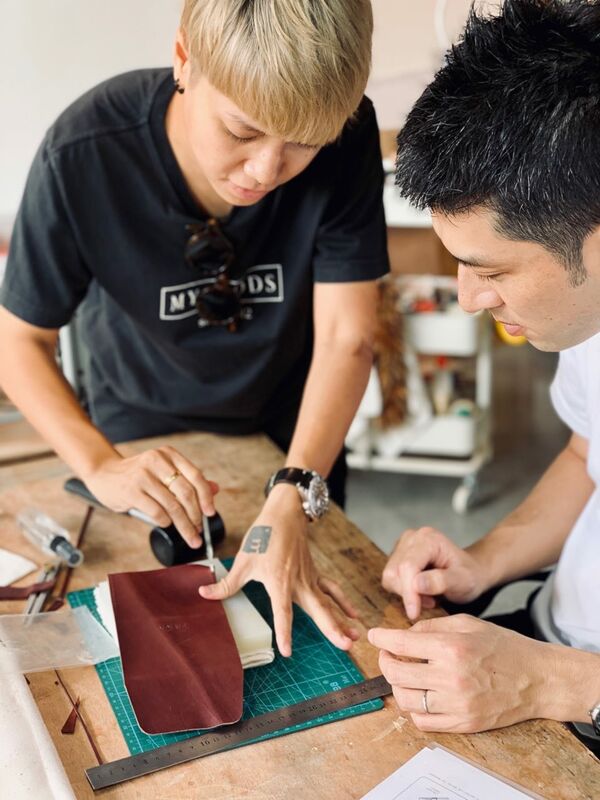 Myatodesign is a Singapore community driven craft agency and is the first women leather maker in the local night market scene. Creating well designed, but a functional product that never grows old. The “Handmade” aspect of our brand is also very key to our ideals. 2. What started the leather making Myatodesign? My passion for creating personalized handicraft product led me to who I am as a designer. Each and every product and bespoke projects are handcrafted with passion. On top of that, every leather products Myatodesign craft, it comes with free engraving. This gives a personal touch to my customers. I aim to bring you quality leather products, with depth, products that are effortlessly timeless. 3. Before you started this business, what were you doing? I was working as a full-time graphic designer as well as a freelance designer. It was definitely a tough decision to leave my full-time job for this to pursue my dreams and be the business owner of my own. As you know to live in Singapore, expenses are much higher but I choose to believe in what I do and what I would like to achieve. Time doesn’t wait, only we wait time. 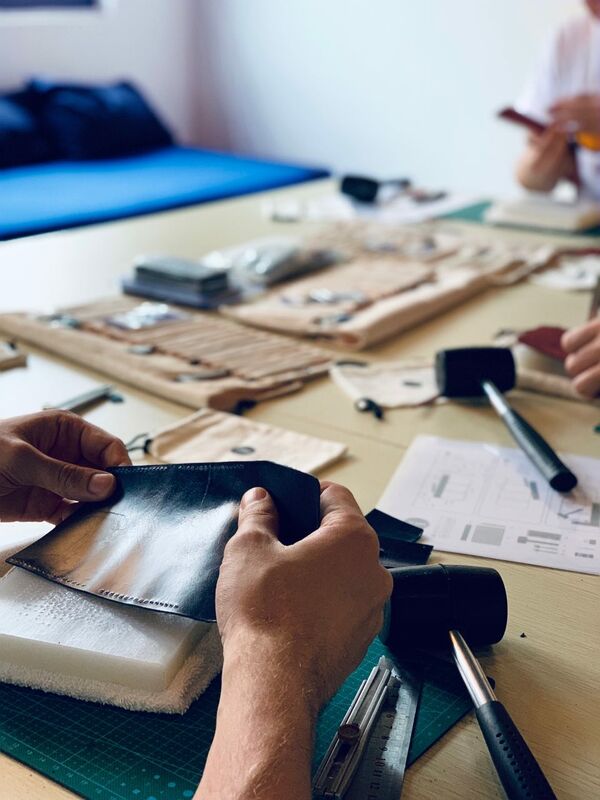 Fun fact: Myatodesign started off as a graphic design platform, which later, converted to full-time leather craft work. 4. It appears that you are having workshops, is there any specific reason to do so? Yes. There’s a couple of reasons why I’ve started providing crafting classes. A business owner would know that online businesses are pretty much competitive as compared as the past, why fighting against fire? So why not try providing something different? Something that not anybody else can do, like workshops and services. And so I’ve come out of a way out to improve my business and that also allows me to share my knowledge, my crafting journey of Art of Leather Making at the same time. You know killing two birds with one stone. And I really wished I could empower the next generation of crafters because I feel that the traditional handicrafts are losing their identity. As an entrepreneur especially, you won’t be having a stable income. I have zero knowledge of handling business, you know you have to start doing some accounting, some marketing etc. I have to keep track the current trends, the upcoming promotions I will need to shout out. It was definitely a challenge for me to learn something different out from my comfort zone and somehow I did it! Don’t be afraid to learn. 6. How do you overcome these challenges? By the support from family and friends, they have never doubt of what I’m doing and which it gave me much more motivation to pursue it. To the above question 4). By adding on workshops, also by adding on live station services ( Onsite embossing), something more than just selling products. And having good customer service plays an important role as well, I’m always happy to see return customers because they appreciate my craft work. 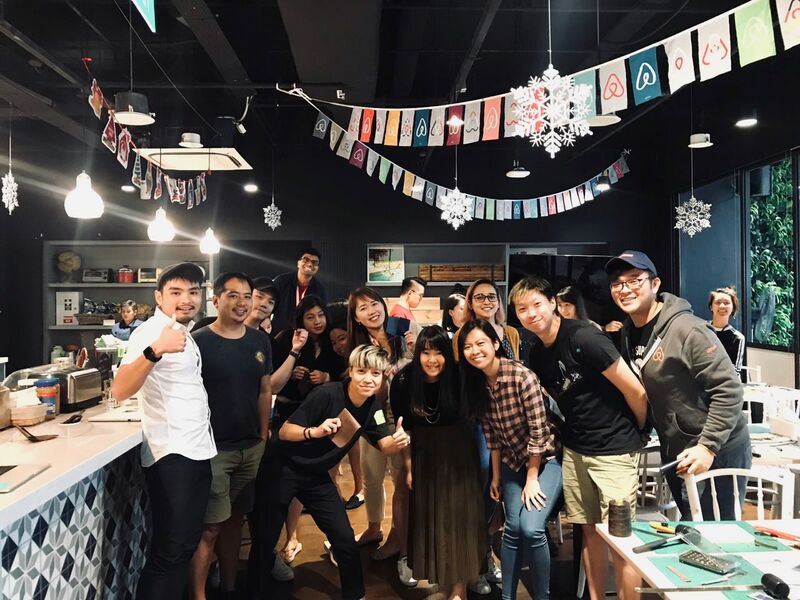 Not to forget, good connection and socializing too because that helps to build a stronger network. 7. How does EasyStore help you in your business? It allowed me to start up a small online business at an affordable rate. And I’m pretty sure EasyStore are striving hard to improve on more features and functionality for better user experience. 8. What’s your vision or goal for your business in the future? My aim to build awareness around handicraft work. Although the importance of handicraft has been widely recognized, the literature regarding preservation and sustaining of traditional craft is still considered scarce. 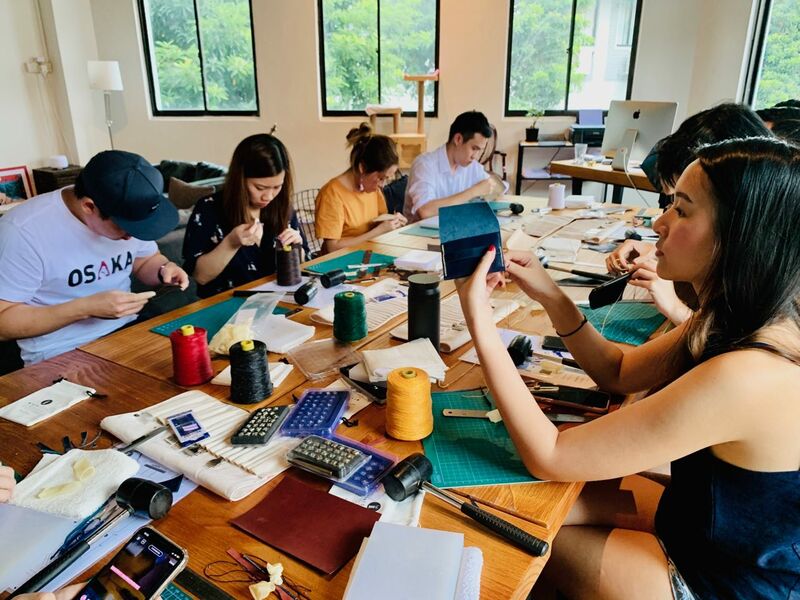 To me, not only is it crucial to preserve the heritage of traditional crafts, empower a new generation of crafters in the midst of digital age is important. Technological advancements are great and powerful in years to come. However, to me, I feel that traditional handicrafts are losing their identity. And, as a designer, I aim to preserve and share to the future generation. Get to know more about their leather work! You can even make your own leather gifts for your loved ones.